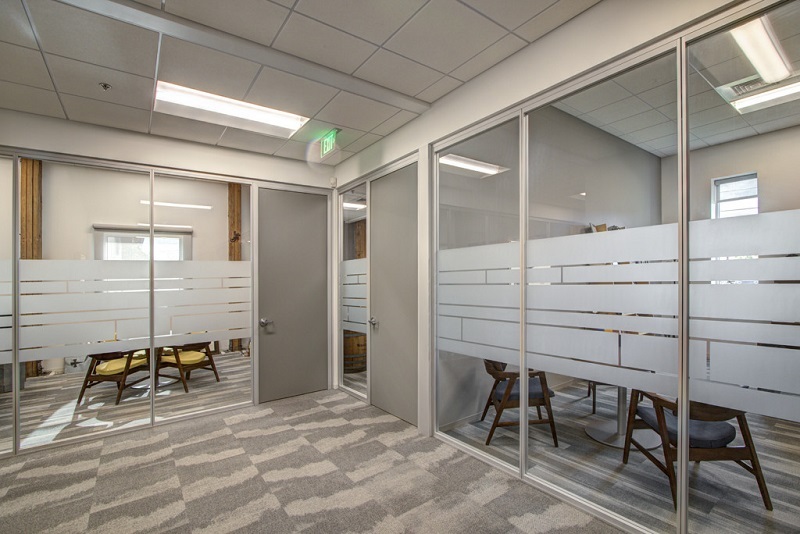 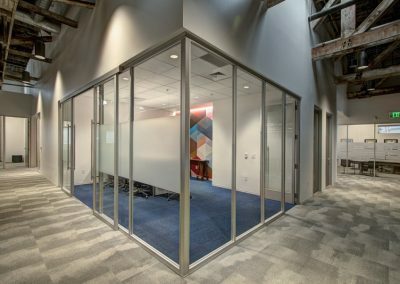 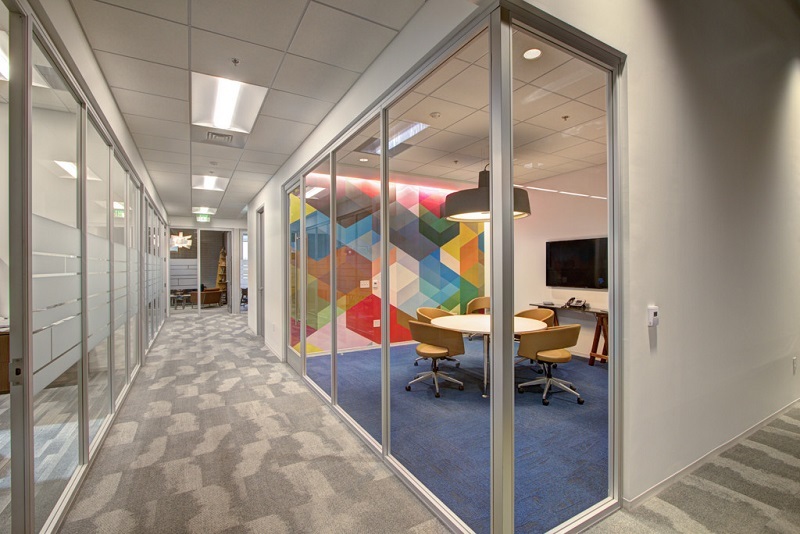 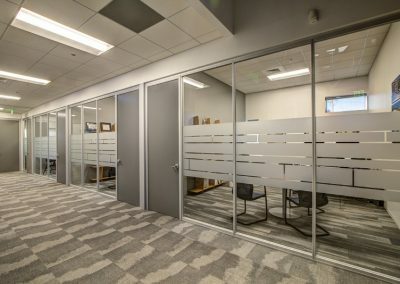 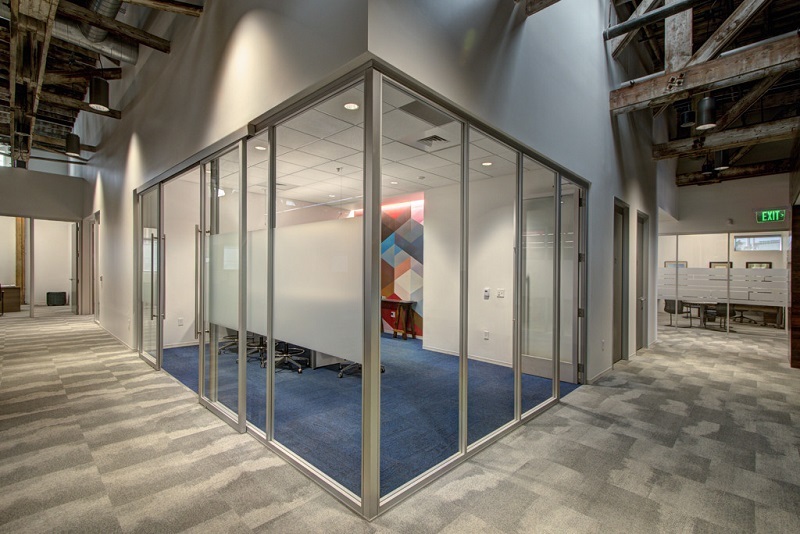 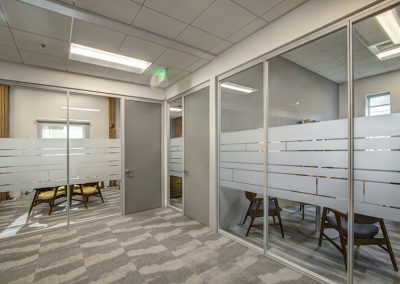 A large General Contractor chose a combination of our Symbio and Slimline Wall Product for their new offices. 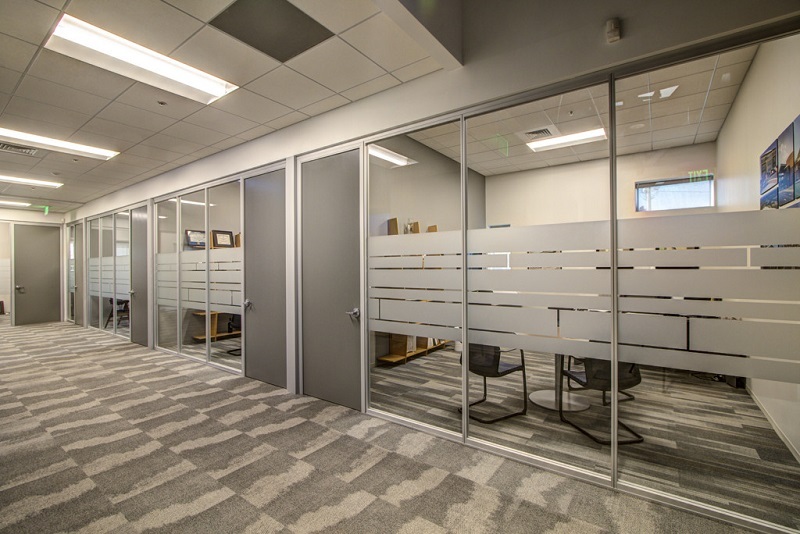 Pictured here are the Symbio Wall solutions for the offices and team rooms. 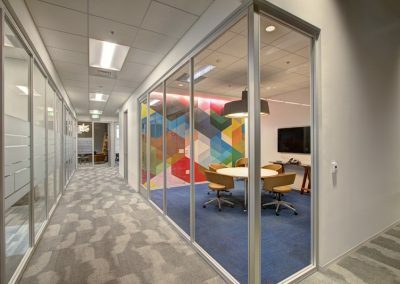 The combination of new architectural products in an older refurbished space create a beautiful environment, and the bright colors in the team rooms provide a vibrant pop.